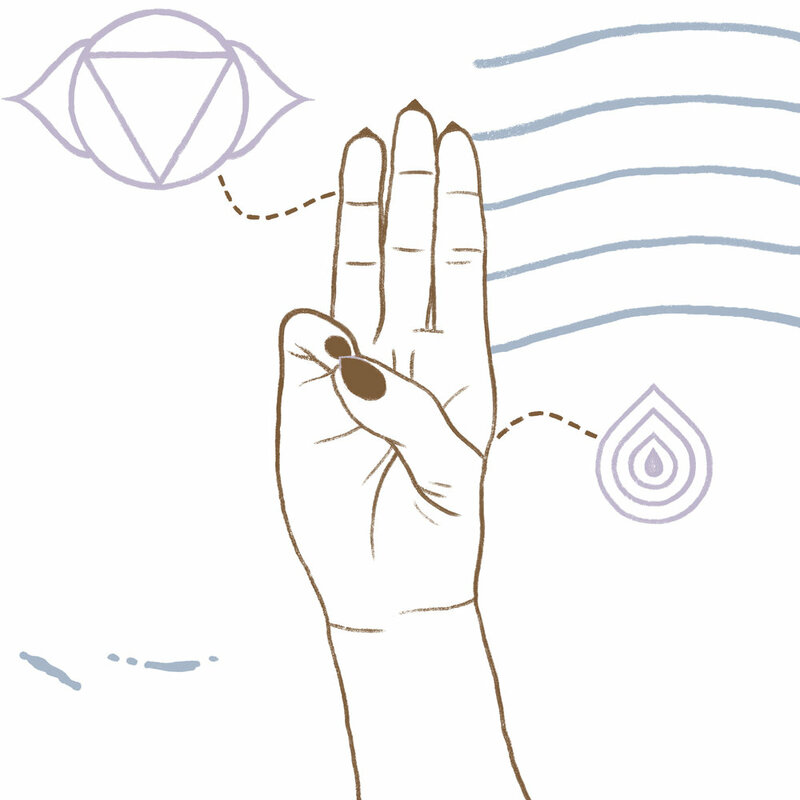 In English, this Mudra is known as the seal of mental clarity. When the little finger, which symbolises water and communication, touches the thumb, which represents divine nature and fire, the Buddhi Mudra signifies fluid communication and access to inner knowledge. In traditional yogic practices it is thought that this Mudra enables us to develop psychic, intuitive energy and cure or provide relief from a range of diseases and ailments that result from a lack of water in the body. This Mudra is sometimes also referred to as Varuna mudra, named after the Hindu god of water, or as jal-vardhak mudra from the Sanskrit, jal, meaning "water," and vardhak, meaning "enhance," Buddhi Mudra is thought to balance the water element in the body and improve mental clarity. To perform this Mudra, the tip of the little finger and the tip of the thumb touch with minimal pressure. The three remaining fingers should extend in a comfortable manner.